Steve Noel's Blog: Go West young Man, Go West. Go West young Man, Go West. 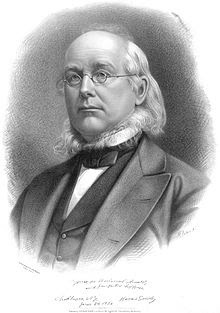 Horace Greeley is believed to have given this advice to the men of America in an editorial written in 1865, you can read more about it here. Greeley favored westward expansion. He saw the fertile farmland of the west as an ideal place for people willing to work hard for the opportunity to succeed. So do I. Those of you who know me, know how important it is for me to be a passionate advocate for the company and product I work for. I have been fortunate to have been in this position over the many years I have worked in the SMB space. The great news is I get to be in that position again. I am pleased to announce that I have accepted a position with Axcient. 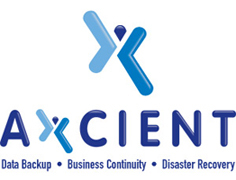 For those of you who do not know them, Axcient is one of the leading providers of Data Backup, Business Continuity, and Disaster Recovery hardware and software. In my role there I will be assisting Axcient and their partners grow their businesses. My position with Axcient may not be a big surprise to those of you who saw I was supporting them at the Autotask Community Live event this June in Orlando. One of the great things about being with the Axcient team in Orlando was getting to see so many people who were my partners with Autotask, are now my partners with Axcient. I expect those relationships to just continue to get better and better. I am honored and excited to be working with Agent Less and the rest of the team at Axcient, and I’m looking forward to seeing and talking to all of you about them soon. So if you are a current Axcient Partner, please contact me and let me know why you love Axcient. Or if you are someone who should be an Axcient Partner because you need a Backup/ Business Continuity/ Disaster Recovery solution for your clients, please contact me and let me help you understand how Axcient can meet both your, and your client’s needs. Best of luck to a true IT channel champion! Congrats Steve - all the best to you! Congratulations Steve! Well deserved! Good luck in your new role. Congratulations Steve on your new role with Axcient. You'll be a great addition to their team. Congratulations, and welcome to the Axcient team! This is a great achievment and I am really excited to be a part of it. This is awesome news Steve. I know you are in good hands with a great company. See you soon buddy.